Wrist pain is a common complaint, with many possible causes. 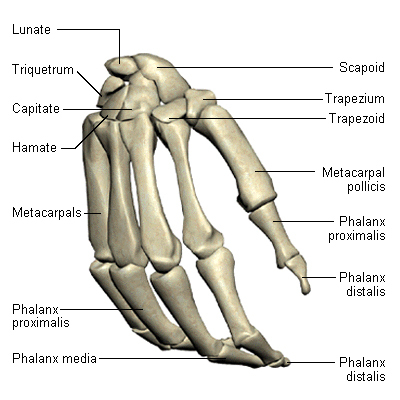 The wrist is a complex joint made up of eight small bones arranged in two rows between the bones in the forearm and the bones in the hand. Tough bands of ligament connect the wrist bones to each other, and to the forearm bones and hand bones. Damage to any of the parts of the wrist can cause pain and affect one’s ability to use the wrist and hand. Many types of wrist pain are caused by sudden injuries that result in sprains or fractures. Wrist pain also can be caused by more long-term problems — such as repetitive stress, arthritis and carpal tunnel syndrome. Because so many factors can lead to wrist pain, diagnosing the exact cause of long-standing wrist pain sometimes can be difficult. A precise diagnosis is crucial, however, because proper treatment depends on the cause and severity of your wrist pain. Delays in diagnosis and treatment can lead to poor healing, reduced range of motion, and long-term disability. Any other unusual symptoms of the wrist. Sudden impact. The most common method of injuring your wrist is when you fall forward onto your outstretched hand. This can cause sprains, strains and even fractures. Repetitive stress. Any activity that involves repetitive wrist motion can inflame the tissues around joints or cause stress fractures, especially when you perform the movement for hours on end without a break. Learn more about the following medical conditions by clicking on the topic below.